What Does the Nguzo Saba Sound Like? The seven principles of the Nguzo Saba are designed to help us reflect on community building and communal advancement. Unlike its holiday counterparts, Christmas and Hanukkah, there is no canon of Kwanzaa songs. For ethnomusicologists like us this was a delightful challenge to confront. The following playlists are our interpretation of what the music of Kwanzaa could sound like. We hope that listening to each playlist is a launching pad for you to think of your own songs that reflect the spirit of Kwanzaa. 1. Free by Goodie M.O.B. CONTEST: In the spirit of giving, we are offering a signed musical gift from Tulani Kinard, former member of Sweet Honey in the Rock to one randomly chosen person who leaves a comment below. Contest Details: Contest starts Thurs., Dec. 22, 2011 and ends Wed., Dec. 29, 2011 at 8 p.m./EST. Winner announced on Sat., Dec. 31, 2011. Contest open to residents of the continental United States, excluding Alaska, Hawaii and U.S. foreign territories. No additional purchase or shipping expenses are necessary. Prize cannot be exchanged. Must provide an email used only to notify the winner and for shipping information. Aja & Free are ethnomusicologists who are speedily completing their doctoral work at University of Michigan and Indiana University respectively. As ethnomusicologists, Aja & Free are concerned with how people use music to live their lives. This can be as simple as considering how parents teach their kids the “alphabet song” to help them become literate members of Western society or thinking about how iPods allow each of us to become a curator of our own individualized musical experiences. We believe that looking at music of a specific genre, culture, or context are significant ways to capture how people are creating themselves and their lives…and even better, explore the possibilities of what their lives could be. Follow us on Twitter @ajaandfree and visit our website at AjaAndFree.com. what an awesome post. every playlist is on fire! especially ‘Nia’ – does anyone know if the Blackalicious album is dedicated to this? I’m really enjoying discovering more about African musicology, please keep posting! Have you heard the song “IMANI” by “Lonnie Liston Smith”? Hi! I love this post. I will be thinking of others to add. I, too, celebrate Kwanzaa, and this helps me share with others who are learning more about the holiday. This is such a great post! I’ve been celebrating Kwanzaa for many years and would often feel frustrated with the lack of musical tributes to the holiday. I definitely will be adding some new songs to my playlist this year. 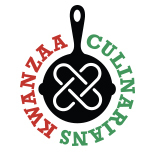 This entry was posted on December 22, 2011 by Kwanzaa Culinarians in 2011, contest, Kuumba, Music and tagged blues, ethnomusicologists, jazz, music, playlist, r and B, rap, songs, soul.